Consisting of just six chalet-like suites, the subtle-style of Rockfig Safari Lodge is perfect for both individual and group bookings. The simply furnished suites, together with indoor and outdoor shared spaces in which to dine and take in the ambiance, maintain an authentic bush feel and sense of Old Africa while offering all the comforts of the present day. 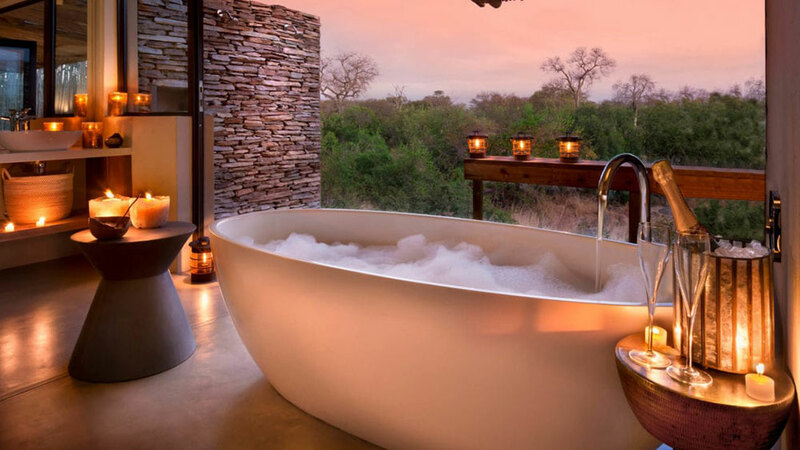 A great centrally-located base from which to share stories of game drives and bush walks in the 30,000-acre private game reserve which backs on to Kruger National Park, the move from exterior to interior is seamless and the combination of private suite and public areas faultless. Pared back design and a large floor-to-ceiling sliding window lets the reserve’s natural beauty shine, while the neutral tones emphasis the watercolors and other pieces specially commissioned from local artists and artisans. Each of the suites includes a furnished private veranda from which to enjoy a romantic sundowner thanks to the minibar, or simply relax with a newspaper. A large and well-equipped en-suite bathroom contains a full-sized bath, as well as an interior and exterior shower. Enjoy the sights and sounds of the African bush from the covered exterior lounge, or the cozy crackling of the open fire inside. Rockfig’s public areas consist of extensive interconnecting indoor and outdoor dining and lounge spaces in which to enjoy the company of fellow guests, with the high ceilings inside and natural-looking structures outside seeking to reflect rather than battle the surrounding landscapes. The open-plan kitchen and single long dining table create further spaces for sharing. This is particularly true at meal times when freshly-prepared safari-themed dishes are created from the best local ingredients by lodge staff. A pool deck overlooks a busy watering hole, making it the ideal place for both wildlife encounters and a quick cooling dip. 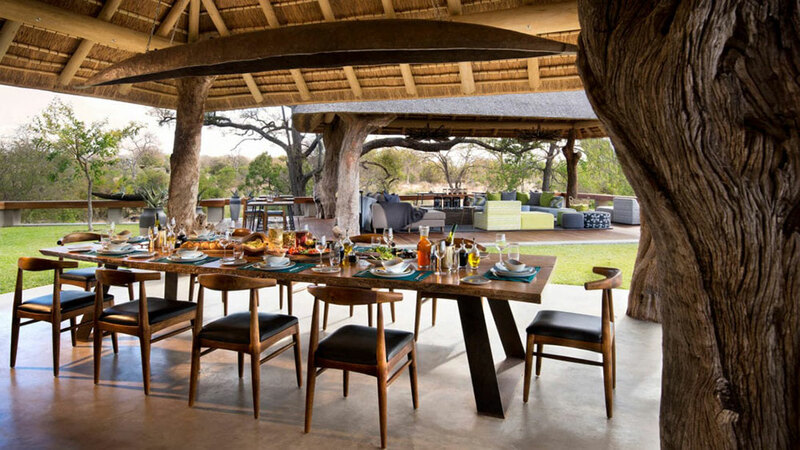 The safari experience lies at the heart of what Rockfig is all about. Traditional game drives in open-top all-terrain vehicles allow guests to explore the more than 8,500 acres immediately around Rockfig (and shared by just one other small guest lodge) without effort. But for an even more unique wildlife experience, ranger-led walking safaris put guests right at the heart of the action on foot. The diverse terrain of grassland and bush savannah dotted with mopane trees that continues without fences directly into Kruger National Park almost guarantees both prey and predator sightings, whether leopard, hyena, or rare white Timbavati lions. The area is also one of the only places in Africa where it is still possible to see all the Big Five of leopard, lion, rhino, buffalo, and elephant in the same place. Want to see RockFig as part of a trip? Enquire today to let us help build your holiday.